Hello! It's Lorraine here with my projects from the June 2016 Scrapshotz kit. 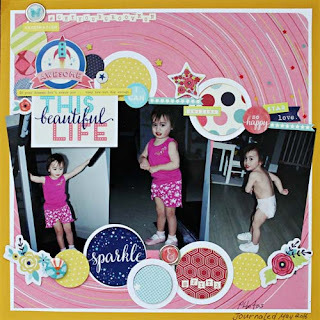 First of all, I created a layout using Rosie's sketch. Here is her sketch. And here is my take on it. I also did a 2 pager with some 5x7 photos from Mexico. 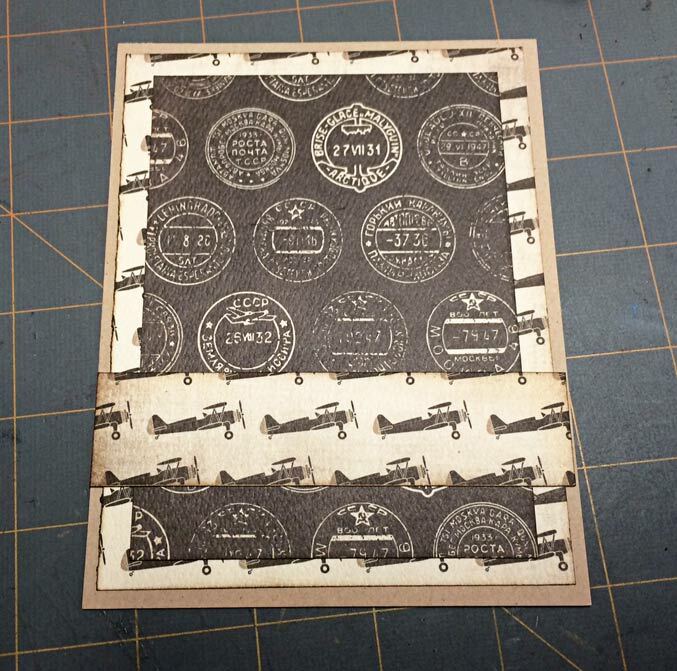 This paper lends itself to old fashioned travel pics. 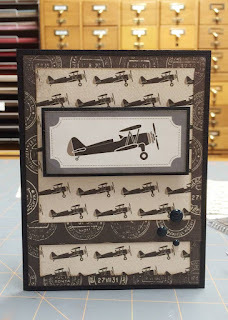 My next project was to make some masculine cards with the patterned paper. Here are my instructions on how to create 6 cards from 2 pieces of this paper. 1. 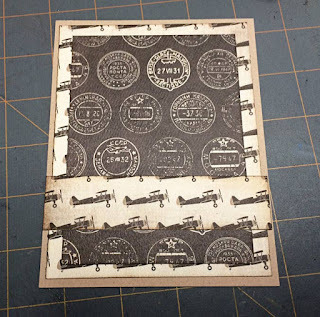 Cut off the ID strip on the patterned paper, then cut 1.5" of the top. Do not discard this strip, as we will use it as accents. 2. Cut the paper vertically into 3 strips. They will be 10.5" tall and 4' wide. 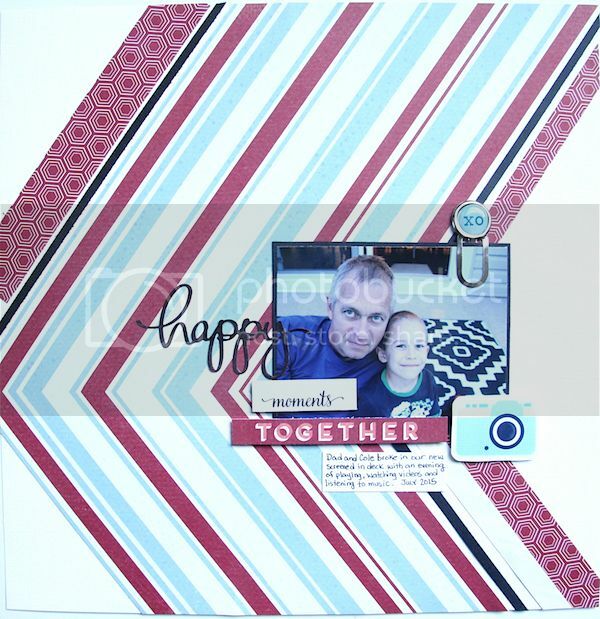 Cut these 4" strips in half, so we have 6 equal patterned paper pieces, 4"x5.25". 3. 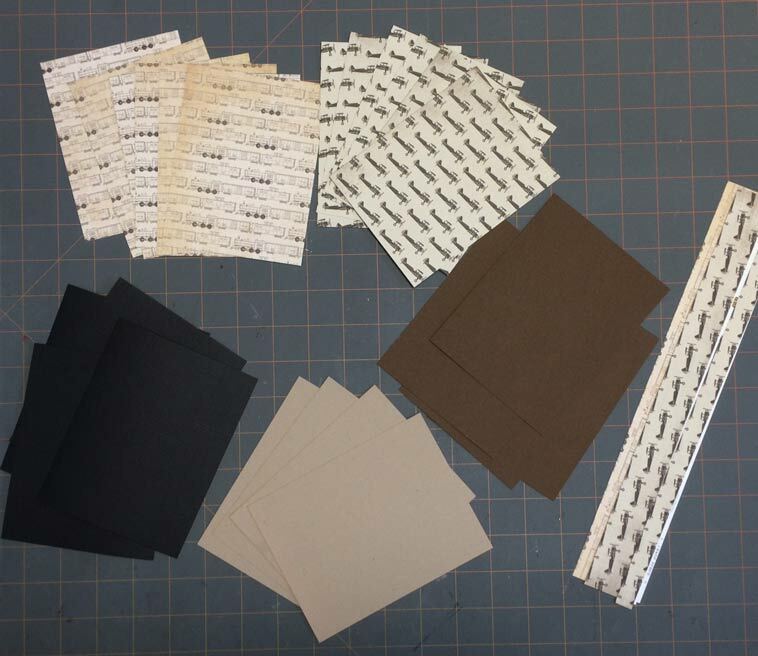 Using scrap pieces of cardstock in neutral colors, cut card fronts 4.25"x5.5". Here is what we now have. 4. 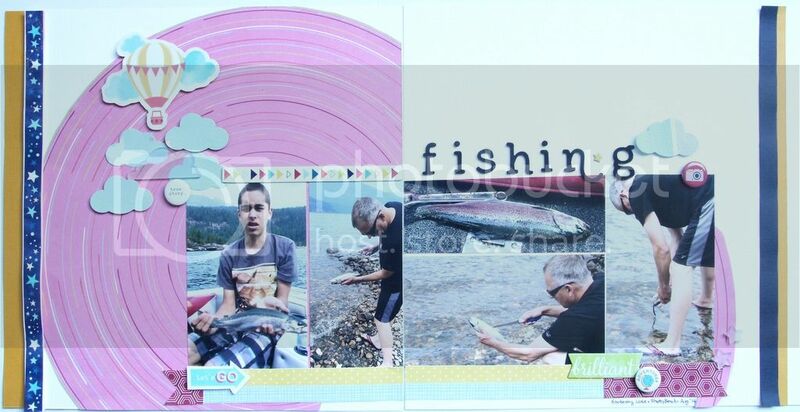 Mount any patterned paper piece onto the cardstock base, centering it. I most often ink the edges with a distress ink and a foam applicator. 5. 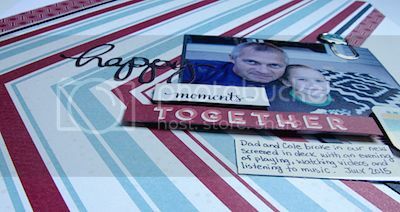 Trim a 1/2" off the top and side of another piece of the same patterned paper. 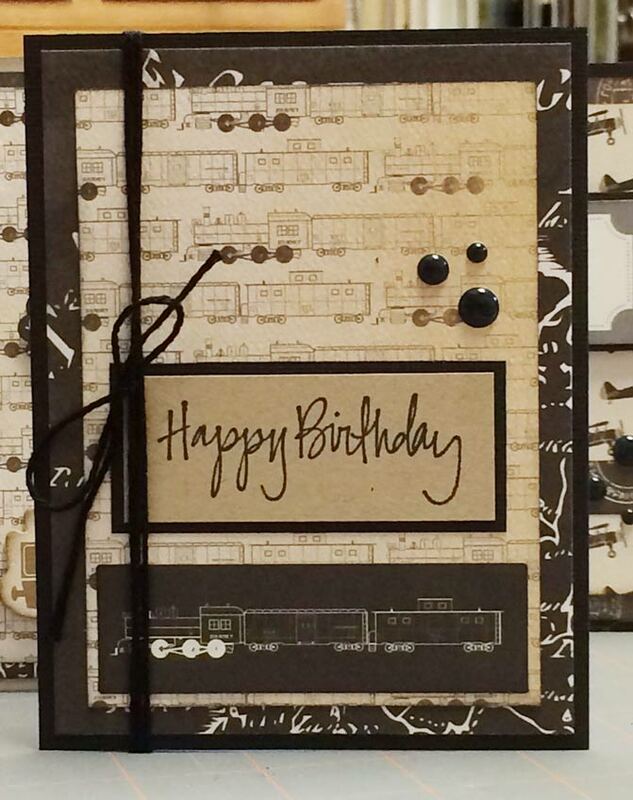 Flip it over, ink the edges and center it on your card front. This is where we are at this point. 6. 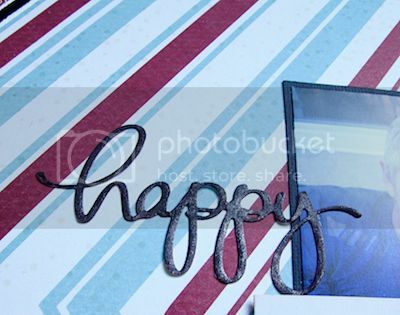 Ink the edges of one of the 1/2" strips you just cut off the piece of patterned paper. 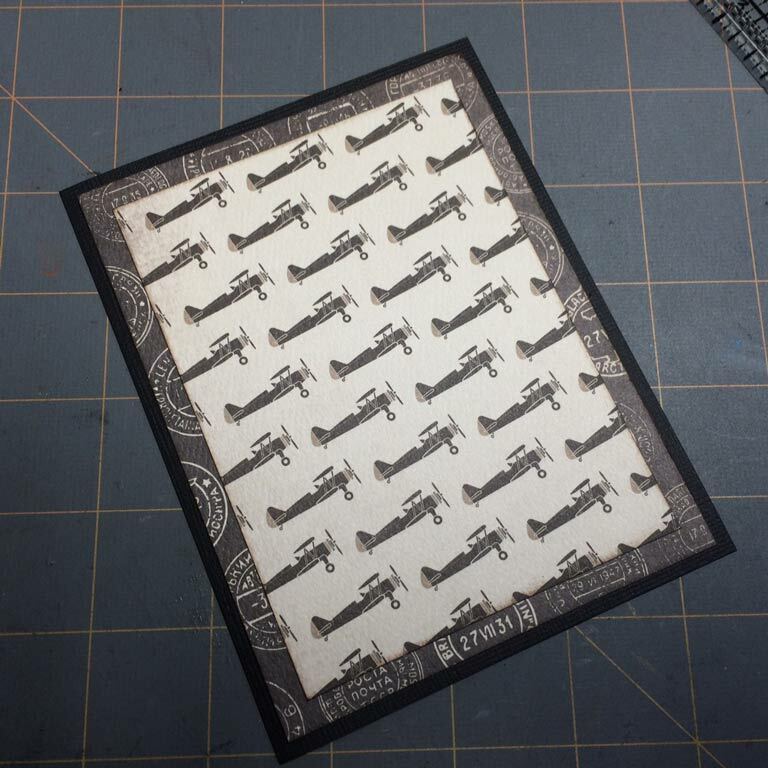 Adhere it over the card with the alternate pattern showing. 7. We're almost done. 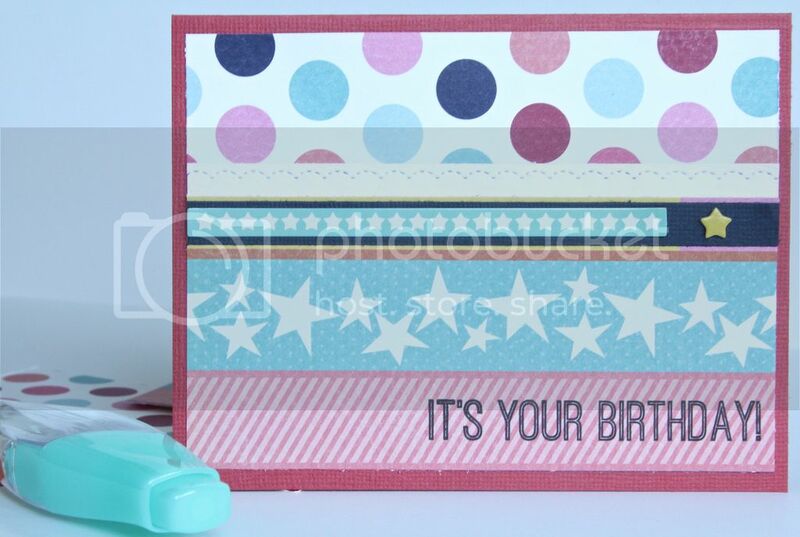 You can go any way with this simple card base. 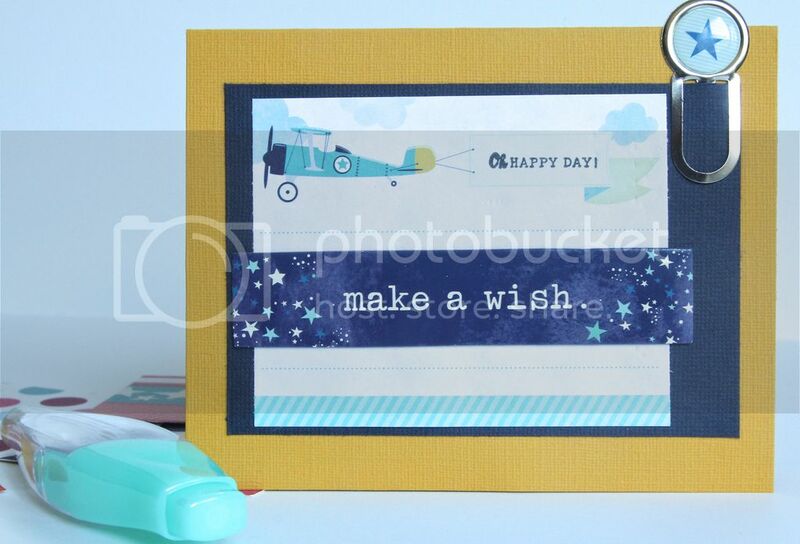 I chose to mount a sticker from the line onto a piece of cardstock and put it on the card with dimensional adhesive. 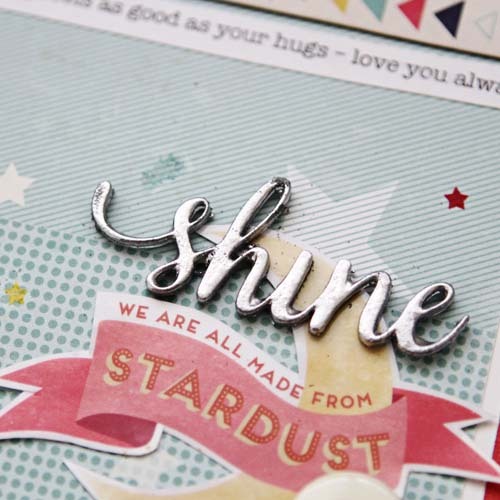 A trio of enamel dots and my card is complete. 8. 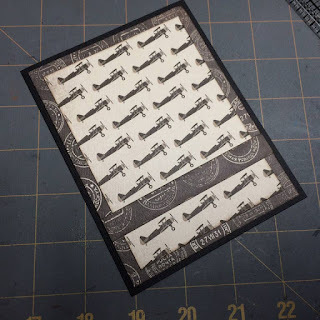 Using variations of this basic formula and the rest of the paper pieces, I was able to create 5 more cards from these 2 pieces of patterned paper. 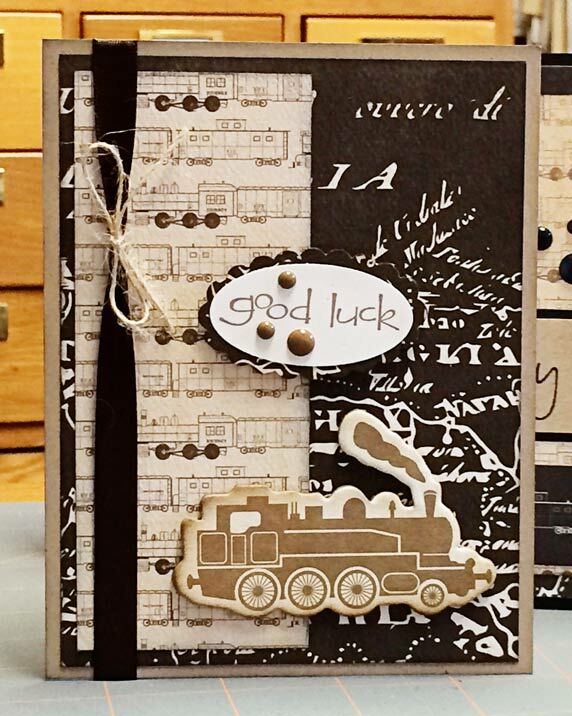 This card uses the opposite sides of the same patterns. These are the rest of my cards. 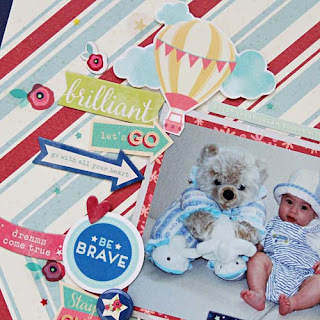 I hope you enjoyed this little tutorial and that it inspired you to take a couple of pieces of 2 sided patterned paper and create a set of cards. Thanks for your interest! Have a great holiday weekend! 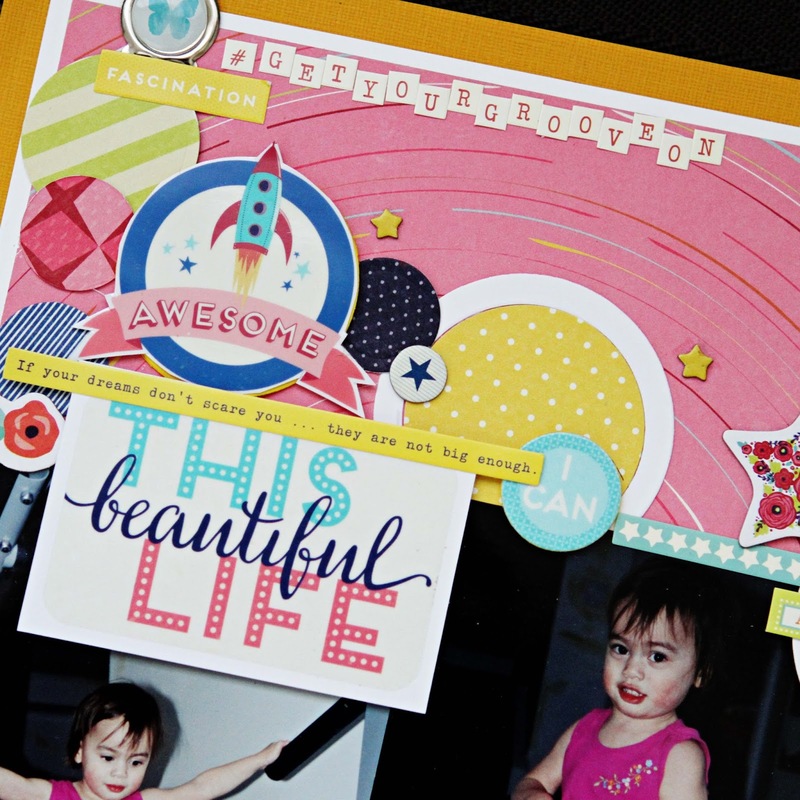 First up is a layout inspired by the patterned paper of strips and phrases. To make my own "pattern paper" block of phrases personal to my layout, I used the phrases from the mini alpha sheet. As well, I augmented my title with the mini alphas and used the adhesive backed ribbon as another piece of pattern paper. For my showcase product, I chose the acrylic shapes. I loved them as is but I decided to jazz them up with some heat embossing. 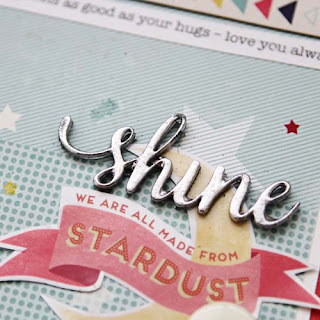 You can also add foil to the shapes or even stamp sentiments on the acrylic shapes. 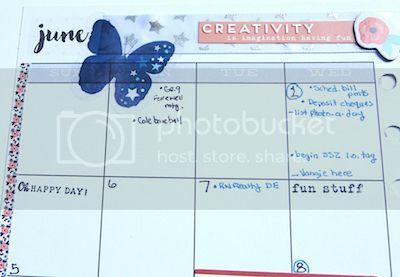 To finish off the layout, I used the nifty rub on pen to add stars randomly over the layout. A close up of the heat embossed acrylic word. 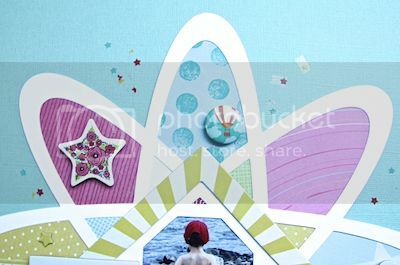 I also embossed the star and butterfly. 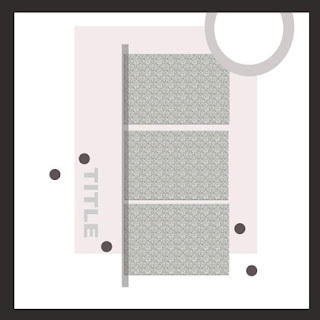 I was in love with the patterns on both sides of the pattern papers and wanted to incorporate all of them into a layout. That thought came together in the layout below. A close-up of the mini alphas and some of the stickers is shown below. My interpretation of the sketch is shown below. In lieu of the tags, I made a cluster of stickers and cardstock accents. For me the accents in the Shimelle line was fabulous and augmented all my layouts. 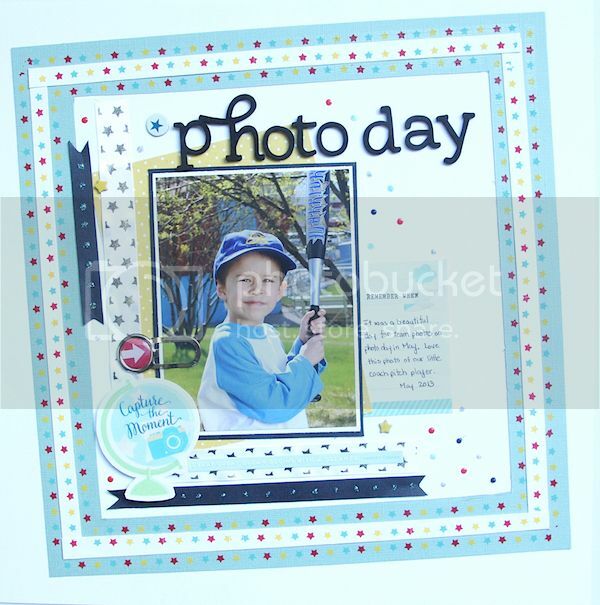 Below I used a cluster of stickers, cardstock accents and the rub on pen to highlight the focal point image. Below is a close up of the stickers, cardstock accents and rub ons. Thanks for letting me share my kit projects with you. Please drop me a line and let me know how you used your kit. Hello and happy soon to be summer, we are enjoying some beautiful weather in this part of the world so thoughts of summer are close at hand. 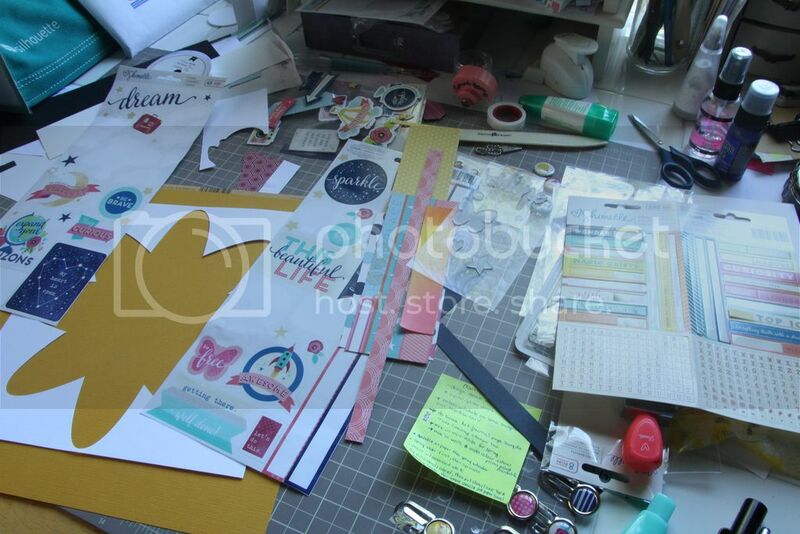 This month's kit is literally packed full of product-paper, chipboard, stickers, acrylic shapes, clips, ribbon and roller rub-ons. 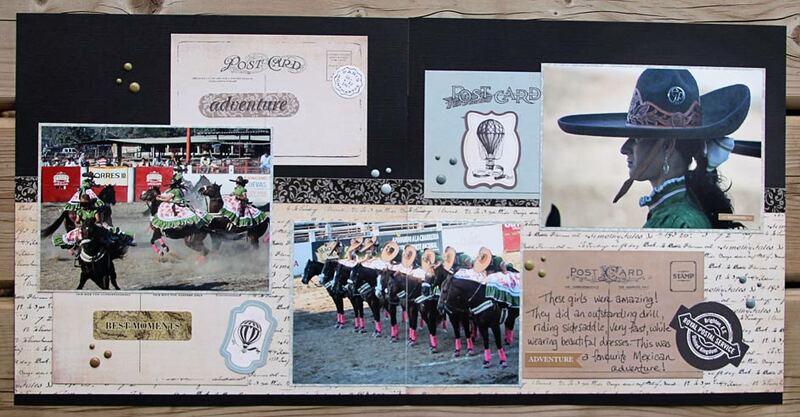 The grand total of projects for me this month is 7 layouts total-6 single, 1 double page and 3 cards. 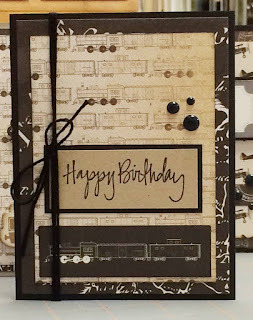 I so love this line I doubled my patterned paper but only used one page from the extras. 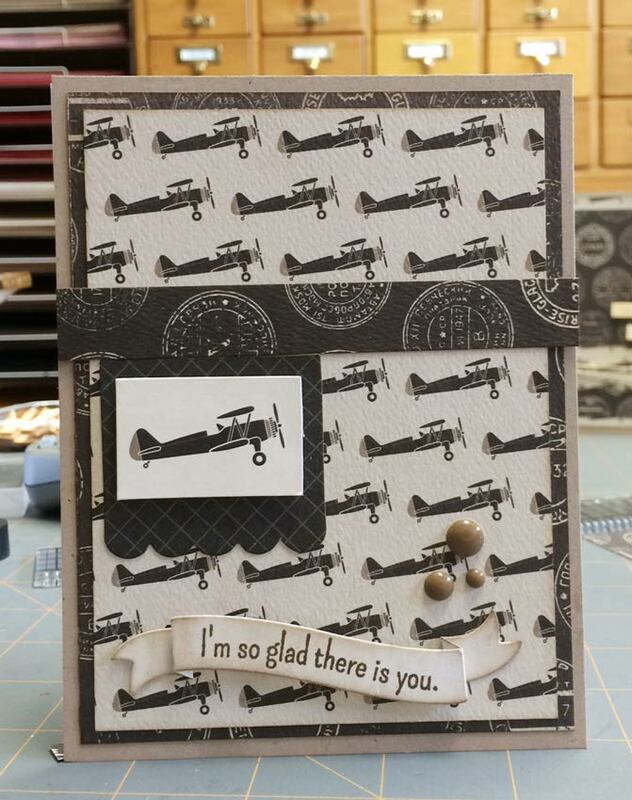 I could have made a few more cards but ran out of time, not counting the extra patterned paper I bought I could easily create a couple more single page layouts and 2 or 3 cards with what I still have left. 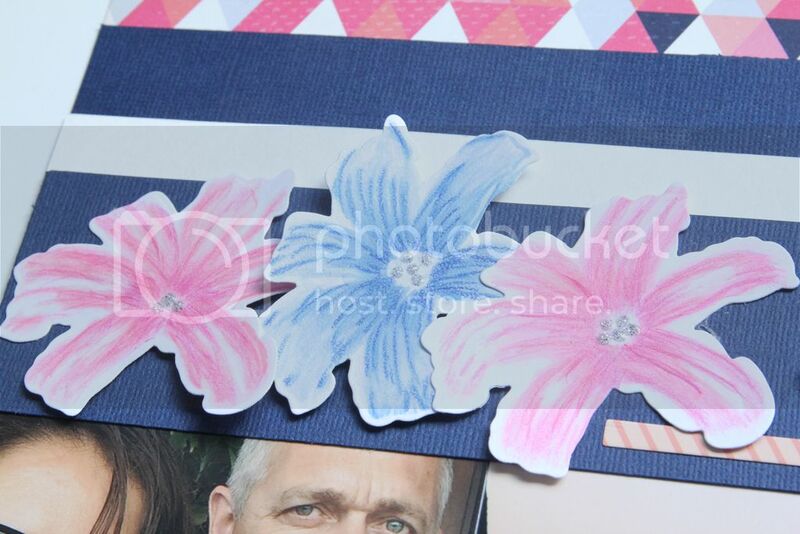 The flowers are stamped and cut with the Altenew Layered Lily stamp and die. 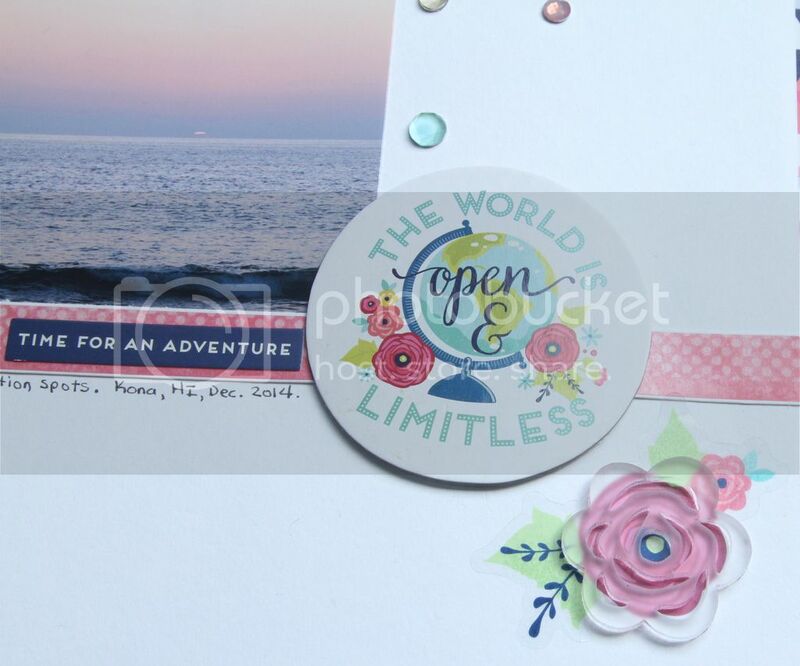 I stamped them with the lightest shade of Altenew Crisp dye ink in pink and blue, then added detail by coloring with copic markers and pencil crayons. 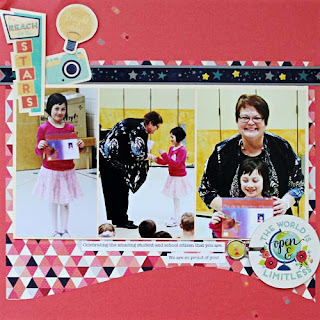 The centres are created with Nuvo Glitter Drops. 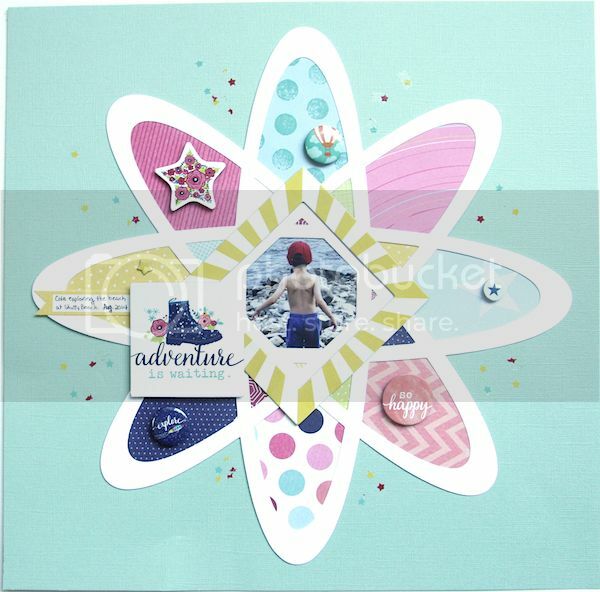 I layered an acrylic flower over a floral sticker to complete the visual triangle of acrylic shapes. The rub on roller pens work just like a white out pen so they are super easy to use. 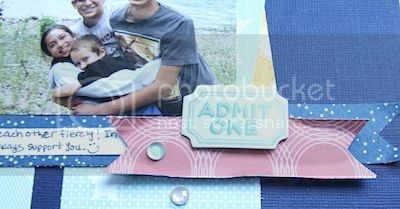 I took advantage of their ease here by running the star pen along the edge of the card stock strips to create multiple borders for my photo. 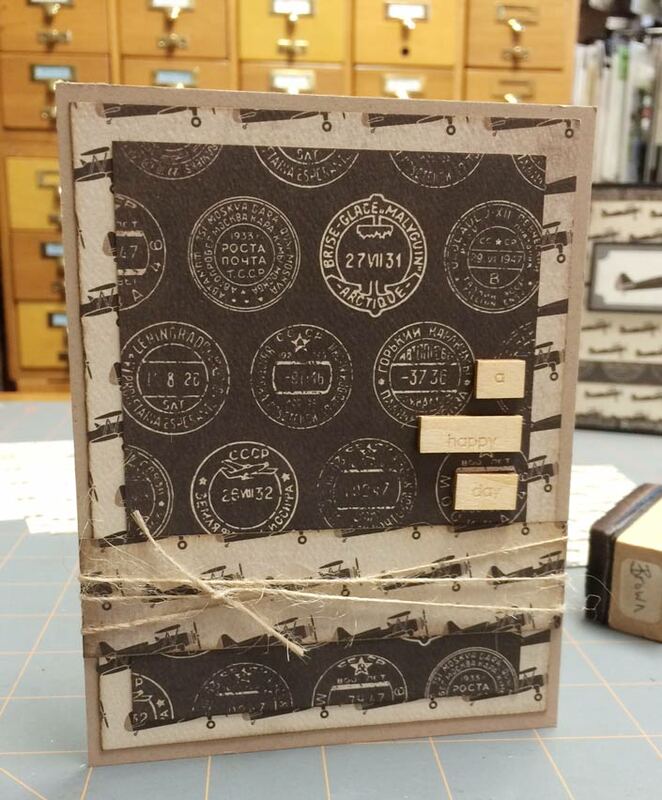 The kit ribbon comes backed with adhesive, just peel and stick! Nuvo Glitter and Crystal drops are added for interest. 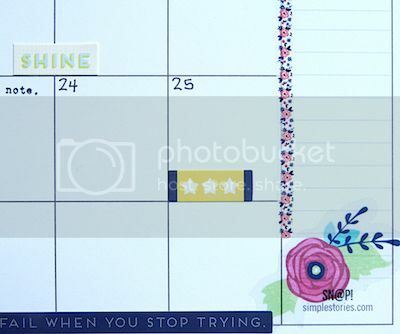 I hope you're not completely bored with my planner spread, I am a 'simple' planner girl. 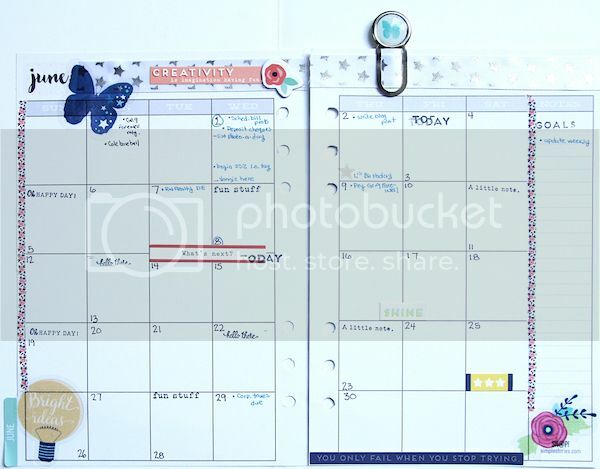 I've added stickers and bit of ribbon along the top, the rub on roller is perfect for a planner and one of the epoxy clips. In addition, I used the roller stamp add on as well. 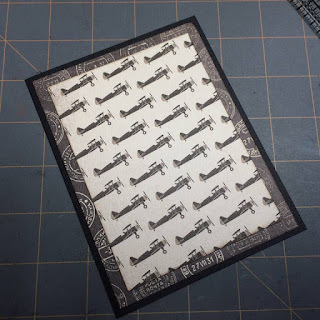 The paper is pre-printed with these stripes, I cut along the outside edge of them, adhered to white card stock, then added the black and hexagon pattern strips. 'Happy' is a white Mama Elephant die cut I had laying around, I colored it with a black marker and then Wink of Stella clear glitter. 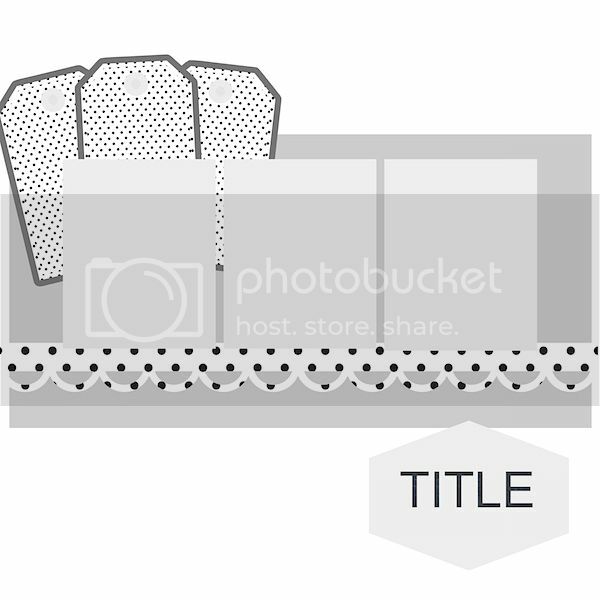 I popped up the word strips and camera sticker with pop dots. 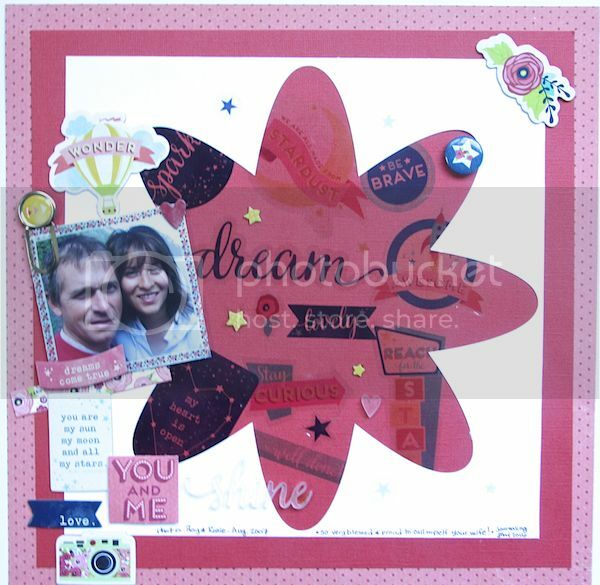 This is a die cut I created for my Cameo, I backed the open spaces with patterend paper. This yellow square frame happened to be just the right size to frame this photo. The stars were added randomly with the roller rub on pen. What am I going to do with all these 'leftovers' ? I randomly placed stickers on card stock and used the outside leftover from the die cut stencil as a frame. 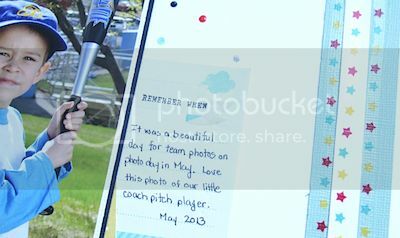 I used the rub on roller pen to "frame" the photo by applying it directly on the photo. 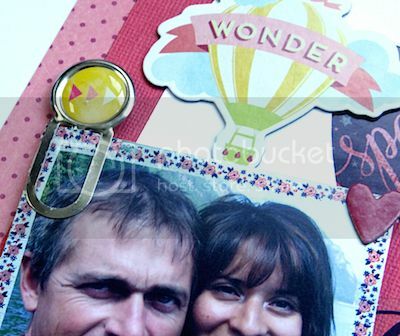 Chipboard, stickers, a flair button, an acrylic shape and an epoxy clip finish it off. It was my turn to create a 2 page layout and I had fun designing this one. 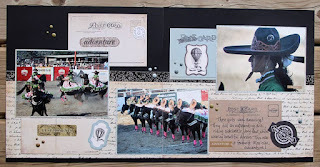 I created a photo block that spans both pages and then added paper strips along the bottom of the block to also unifying both sides of the spread. 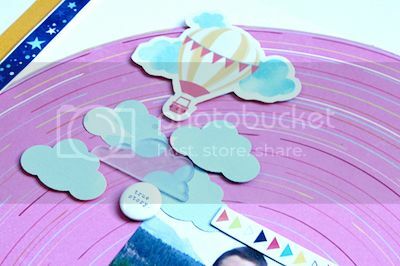 Here are some close-ups of the punched & acrylic clouds, stickers, title and flair button. 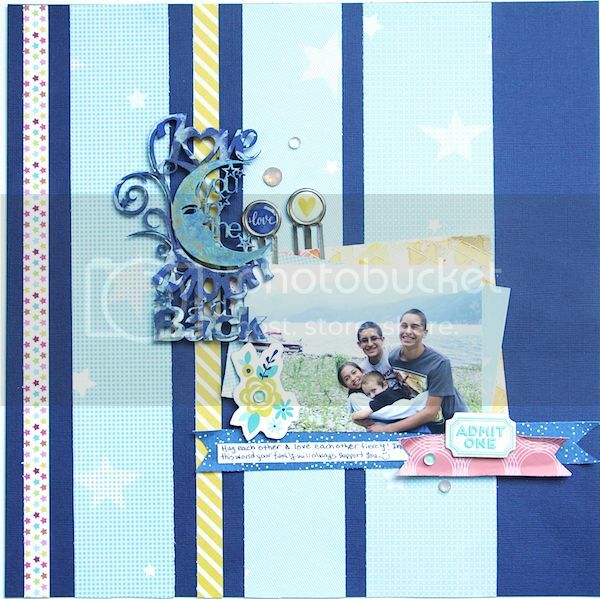 Paper strips are the theme of this layout ranging from wide to thin and cut into banners. 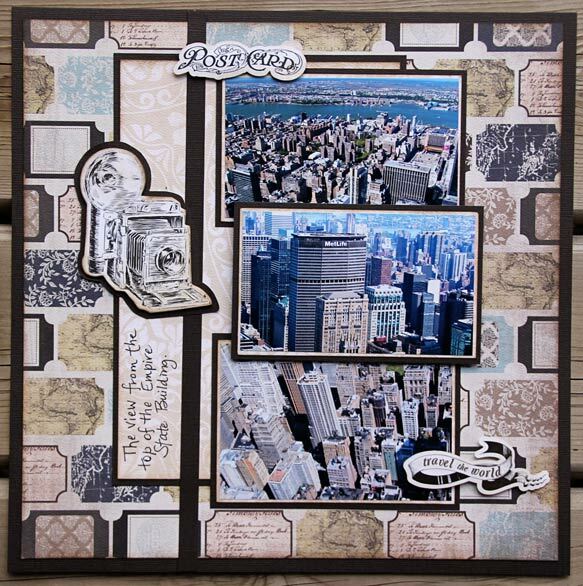 Isn't this chipboard gorgeous, check out the store to see what's in stock. 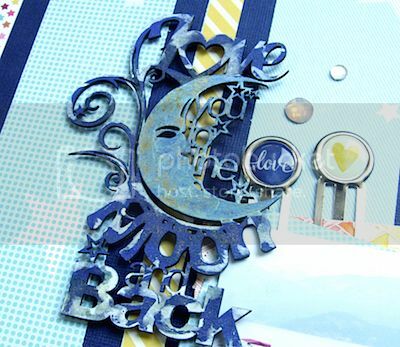 I painted it with Tim Holtz Distress Paint, Prima Alchemy paint and highlighted with Wink of Stella white glitter. See the yellow mat? 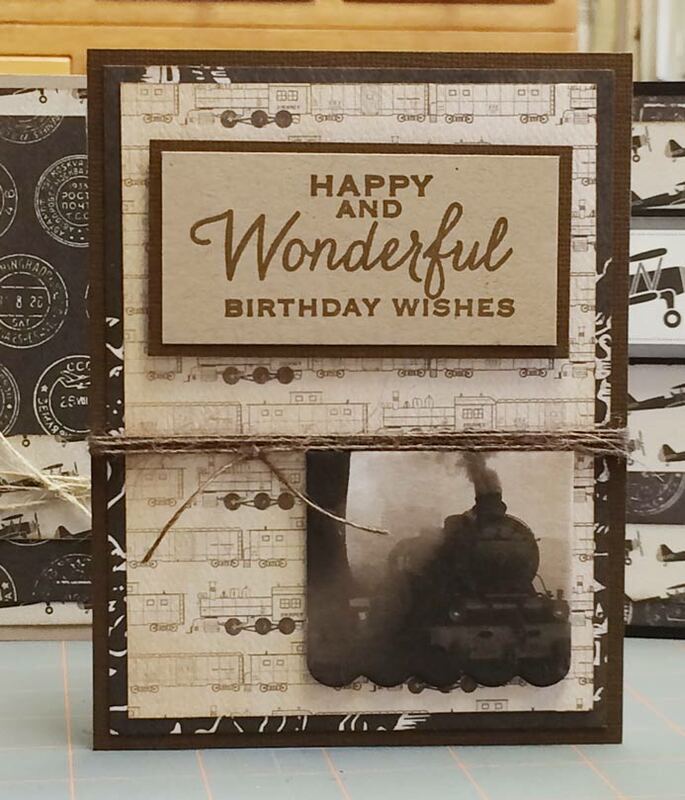 It's watercolour paper stamped with Versa Mark ink, heat embossed with Emerald Creek white embossing powder and then painted with watercolor paints. 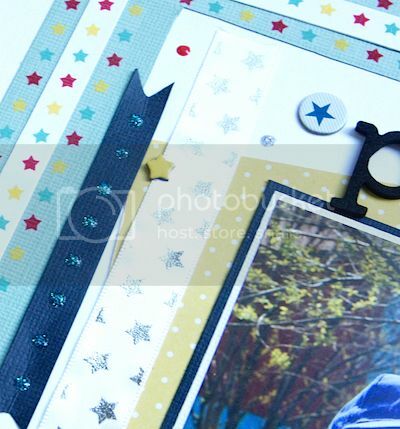 This card was so easy, I used a piece of paper from the notepad & stamp add-on, stamped the banner preprinted on the paper and added the chipboard 'make a wish' for boy a birthday card. 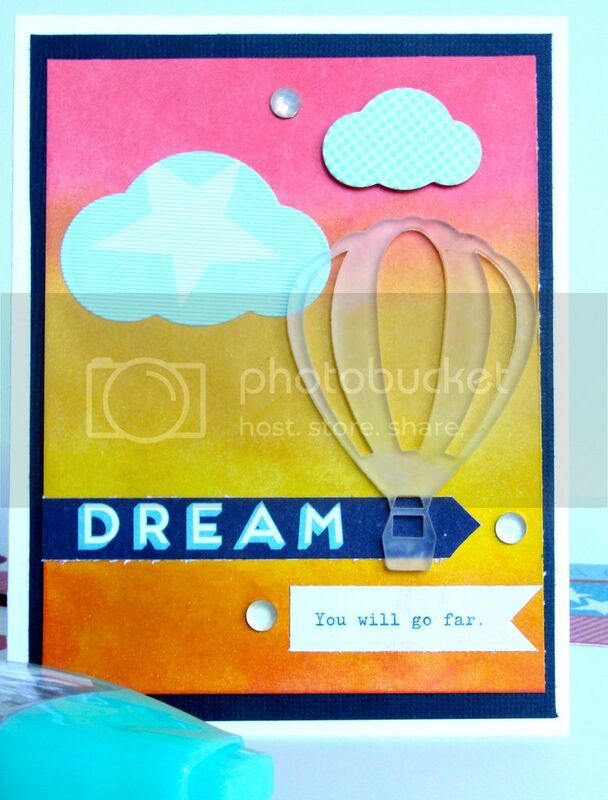 I had this Distress ink background hanging around and decided it would make a great card base for this acrylic hot air balloon. 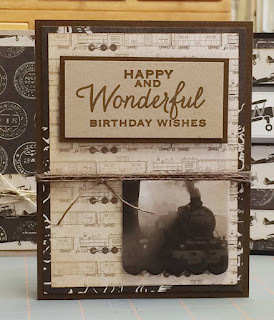 The sentiments are fussy cut from border pattern paper. 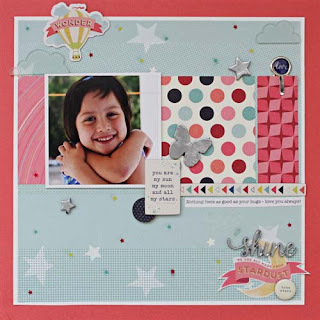 Some Jillibean Soup die cut clouds and gems finish this one off. Working with a paper line makes it so easy to mix and match patterns and colours as they are designed to work together. 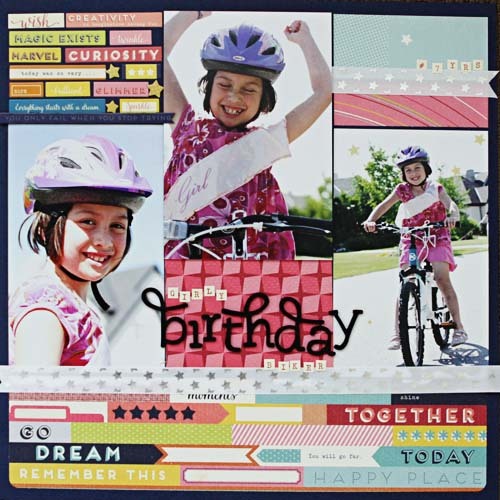 Altenew "Birthday Greetings" stamp set provides the sentiment and the small star sticker strip yellow chipboard star complete this birthday card. Thanks for stopping by and please come back to see Virginia's projects later this week.